Little gems from here and there, and everywhere… Seacoast style! Below are the top choices for “Stocking Stuffers”! 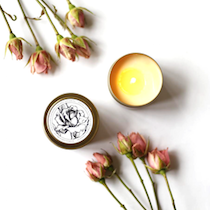 Eco Rose Botanica Candle These 4oz candles come in beautiful gold brush travel tins and have a 30+ hour burn time. Available in three other beautiful scents at Waddytoots! Sand Fragrance Minis from Finn & Company (made in Maine!) will have you feeling beach-y and beautiful! But which scent is the right one for you?? The classic Black Sand scent gives off a warm musky “take your shoes off, walk the warm sands, and melt away into the sunset” kind of feel, while White Sand Fragrance White Sand provides a light “pull your hair back, face into the sun, and just breathe in the cool salty air” feeling. 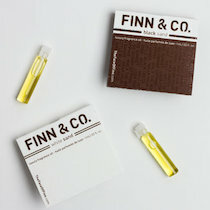 Finn & Company’s minis are a great way to sample (before you commit to the full size), and are great for 3-5 wears. 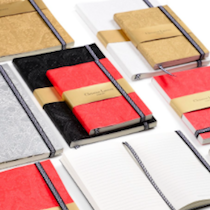 Christian LaCroix Notebooks Embossed and luxurious, these notebooks will have you writing and working in style! Available in multiple colors at WHEAT Newburyport! 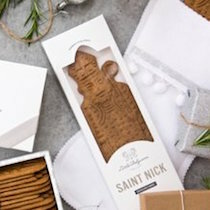 St. Nick Speculoos Cookie This crunchy and buttery cookie, shaped like St. Nicolas, will provide the perfect snack to munch on while opening gifts! Available at Farm + Table. 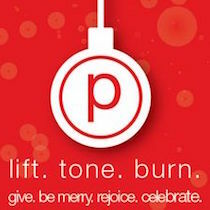 Pure Barre Gift Card Give the gift of fitness! BEST PART? For every $100.00 you spend, you receive $25.00 for yourself! Valid through December 24. 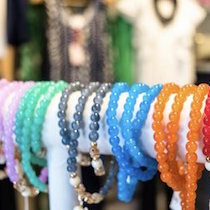 Elephant Bracelets Dazzle and delight with these colorful elephant bracelets available at Let’s Glow! 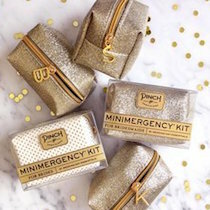 Personal Care and Emergency Essential Kits Adorable mini packages for every woman on your list, these cute carryall kits are available in a variety of themes at Making Faces. Charcoal Whitening Toothpaste We don’t like to play favorites, but we’re in love with this Australian-made, naturally vegan toothpaste. Available at Southern Maine Skin Company.